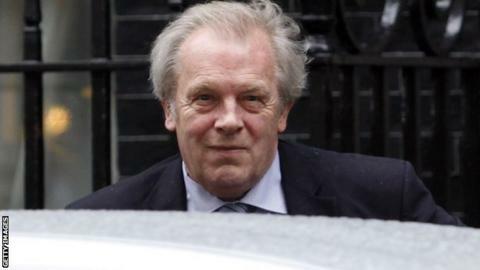 Footballers taking recreational drugs do not appreciate the consequences for their careers and families, says players' union chief Gordon Taylor. He has also called for better drug education after three players tested positive for banned substances. Hull's Jake Livermore, Wolves goalkeeper Aaron McCarey and Sheffield United forward Jose Baxter have all been suspended by their clubs. "The education and regulations need to be enhanced, clearly," Taylor said. "They have probably never appreciated the seriousness of what's happened," he told BBC Radio 5 live's Sportsweek programme. The Professional Footballers' Association chief executive said all three suspensions followed positive tests for social and recreational drugs such as cocaine and ecstasy, as opposed to performance-enhancing drugs. On Friday it was announced that Hull City midfielder Jake Livermore, 25, had been suspended by the Football Association and his club following a positive test for cocaine. The following day, the suspensions were announced of Wolves goalkeeper Aaron McCarey, 23, and Sheffield United forward Jose Baxter, 23, after failing out-of-competition FA drugs tests. And he said he was "concerned" that players who would never consider using performance-enhancing drugs did not understand the damage social drugs could do to their careers. "We certainly can't relax now," he said. "We have to look at the education and advisory service." The Football Association's anti-doping regulations prohibit players from taking social drugs at any time. Footballers found guilty of taking the drugs "recreationally" can be banned for up to six months, but players who read positive for social drugs during a post-match test could receive a suspension of up to two years. "They probably do not appreciate the consequences, not just for them and their careers, but for their families," Taylor said. There were four positive tests last season from 1,604 carried out, but Taylor said drug testing had become more rigorous this year, with players now tested on average three times a season.